I have a rule for myself in fantasy leagues (that I do not always follow) where I avoid dropping any player I put stock in for at least a month into the season. It’s hard to hold off on some of those early season waiver gems, but you need to give players an extended chance to prove themselves before moving on. Now that we’ve reached mid-May in the fantasy baseball season, it’s time to start putting more stock into what we’ve seen so far and figure out who is worth adding from the free agent pool for the rest of the year. 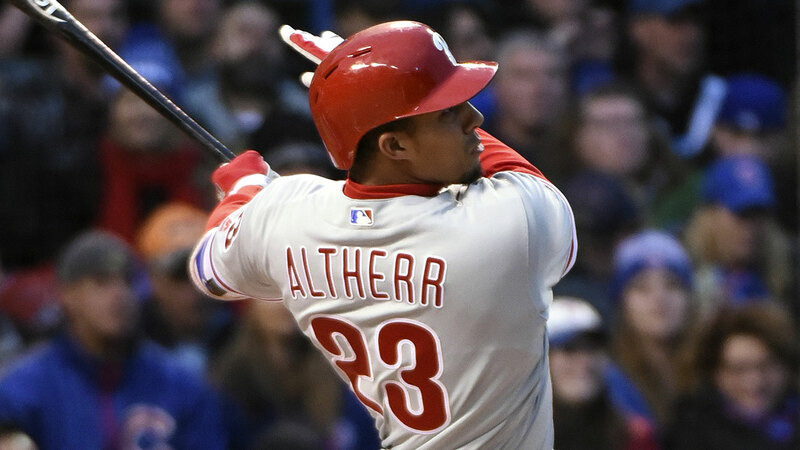 After hitting five home runs in the month of May, Aaron Altherr has quickly become fantasy baseball’s latest heartthrob. As a young stalwart at the top of an emerging Phillies lineup, there’s certainly a lot to like about him. If you want to buy into his breakout this year, I don’t blame you for doing so as it could work out very well. However, I can’t go without warning to not get carried away with his potential, as his batted-ball profile screams regression right now, with a .413 BABIP and 36.8% HR/FB. I’m still expecting him to finish the year with regression numbers still above the average, but numbers that high are bound to regress eventually. This will also be his first full season in the majors if he stays healthy and it’s tough to project his numbers for the year based on just the first month of the season. Altherr should keep providing a nice mix of power and speed for the rest of the year, but it’s too hard to say right now if we’re looking at the newest 20/20 player for the year. Man, this one feels weird. In most situations, I would usually recommend the player that’s younger, but that’s not the case here. The fact is Gardner’s success has been much more sustainable this year and he’s got a proven track record of being a reliable fantasy option. Over the past four years he’s accumulated over 600 plate appearances each year while averaging around 20 steals and a wRC+ above 100. He reads to me as a safe option with speed at outfield and would be a good pickup for anyone worried about Altherr’s inevitable regression. 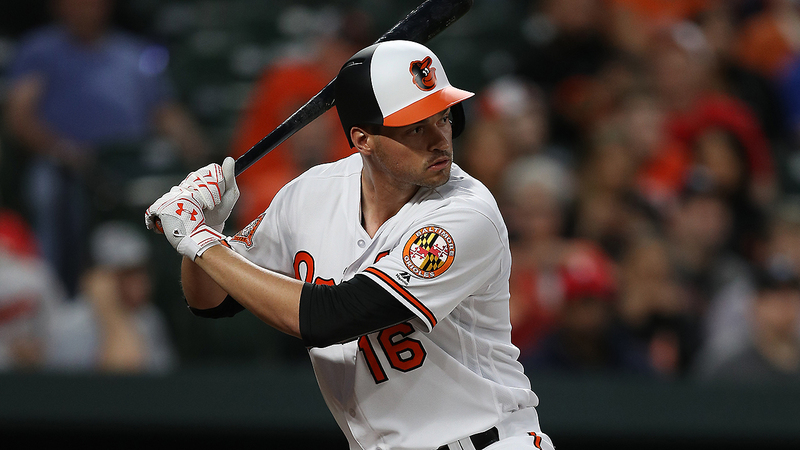 Despite playing in the Orioles lineup and having a great baseball name, I don’t recommend picking up Trey Mancini in most leagues. I’m wary to put much stock into Mancini because of the limited sample size we have for him. Between getting called up late last year and the first month of 2017, he’s accumulated less than 100 plate appearances due to his limited playing time. The fact that he’s hit 10 home runs in those plate appearances is exciting, but that’s causing an elevated HR/FB rate that is sure to regress. We’ll need to see more from Mancini before determining how legit he is. Furthermore, he still doesn’t have an everyday role in the lineup, so owning him could be a frustrating prospect when he sits. If you’ve got the roster space, he could be worth owning for the upside, but it’s far from a necessity to pick him up. Another player with a fantastic baseball name, Shin-Soo Choo has always been an underrated contributor, especially in OBP leagues. The key with Choo, as always, is if he can remain healthy and so far this year, he hasn’t missed any time. Playing at DH for the struggling Rangers will certainly help him avoid injury throughout the year. There’s little upside here, but he should remain a consistently productive, low-end outfielder as long as he’s in the lineup. It’s always a lot of fun to own that one player who can fit into every slot on your team, but it can be very easy to let that overrate the player’s abilities. 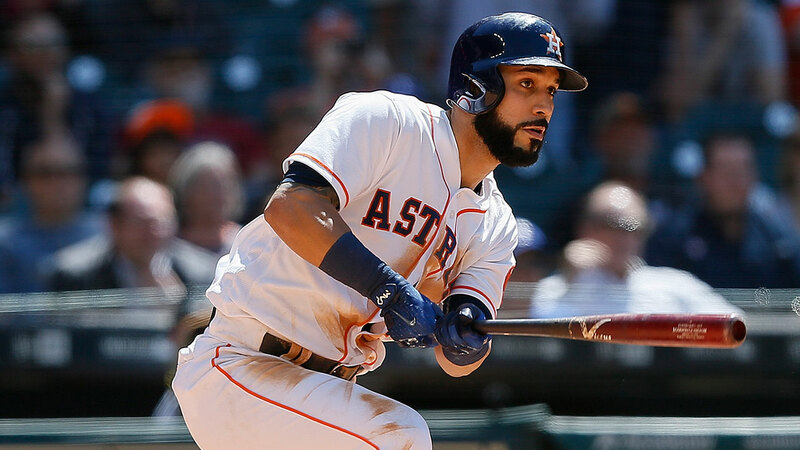 Marwin Gonzalez had a fantastic four-game homer streak last week that increased his ownership percentage significantly, but it’s some of the underlying numbers that make me a little uneasy. Despite the power surge, he only has a hard hit rate of 32.8%, which makes me question if his home run pace can keep up. His HR/FB rate of 39.1% will certainly go down, and while a lower BABIP of 0.220 can indicate a higher average coming, a troubling 8.9% line drive rate implies that might not all be bad luck. There’s something off about his profile (possibly from low sample size?) that makes me want to stay away, so don’t get too smitten with the insane eligibility. I’m still skeptical that a 30-year old player can change his game completely without warning, but I’m starting to buy into Yonder Alonso providing value for you in fantasy baseball this year. He’s made some dramatic changes to his game, upping his fly ball percentage to 50.7%, his hard hit rate to 41.1%, and walk rate up to 11.0%, all while keeping his BABIP close to .300. Now I don’t expect the power to keep up, evidenced by his highest HR/FB in six years, but after only a month he’s got the most home runs he’s ever hit in a season, in only a sixth of the time. It’s obvious this is his career year, and it’s probably worth seeing what he will do the rest of the way.